Electric toothbrushes are recommended by dentists because they encourage better brushing. I love these, but the market is filled with many expensive options. How great would it be to only pay $2.99 monthly plus a one-time $9.99 shipping fee? Say hello to the Dollar Brush! Along with a premium electric toothbrush, they’ll send you brush heads delivered straight to your door when you subscribe. And it only comes from the Dollar Brush — they’ve eliminated backend, middlemen, and retail markups. What’s included in the Dollar Brush Kit? Buy your refills for just $4.99 per head which are sold in packs of two with a travel case. This is a great deal for you and for an entire family. Matching leading brands, the Dollar Brush will equip subscribers with the latest innovations and soft densely packed bristles to remove plaque effectively and safeguard against enamel or gum damage. 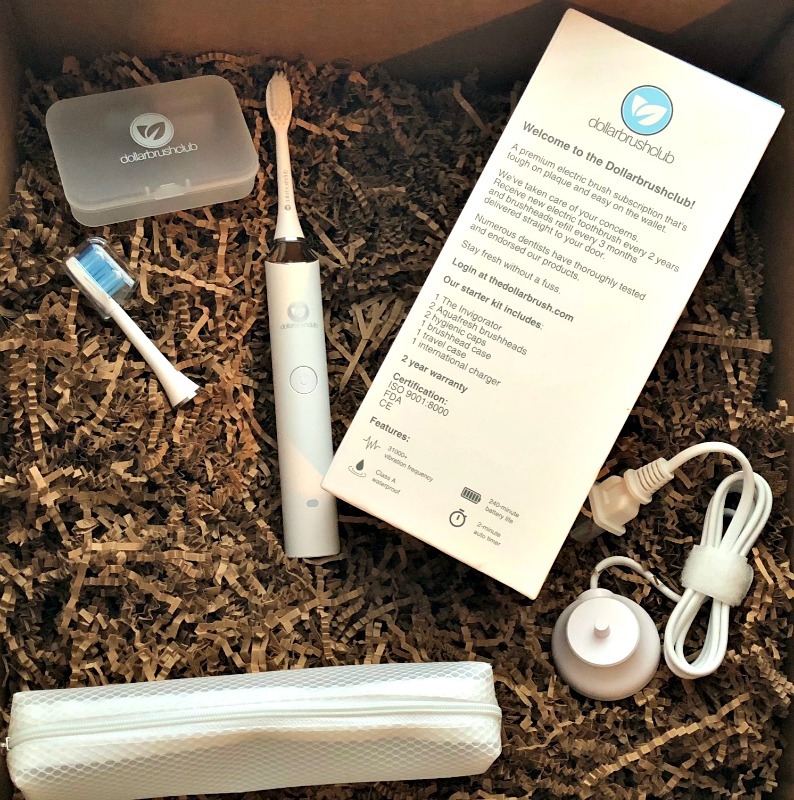 The Dollar Brush Kit is dentist endorsed as the number one choice for an electric toothbrush and is currently available across many dental offices in North America. The electric toothbrush is a quality product that left my teeth feeling clean and healthy. The price is beyond reasonable and something I would spend on for my family. With their plan, you’ll be spending $36 a year with a one- time $9.99 shipping cost in the beginning. That’s up to 80% less than the average consumer. Make sure to use the special promo code below for a free month of the club! Promo code: “KELLY” will give subscribers a month off!